Improving crop flow and cab comfort, Deutz-Fahr has updated several elements of its 9300 Series combine. 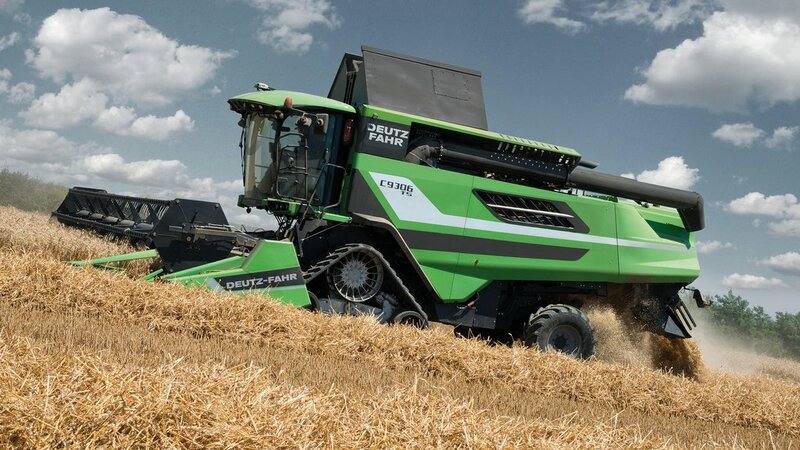 Originally launched four years ago, Deutz-Fahr has recently updated several elements of its five- and six-straw walker 9000 Series combine harvesters. Four models make up the new 9300 Series, taking over from the 9200, all powered by Mercedes-Benz engines meeting Stage 4 emissions standards. 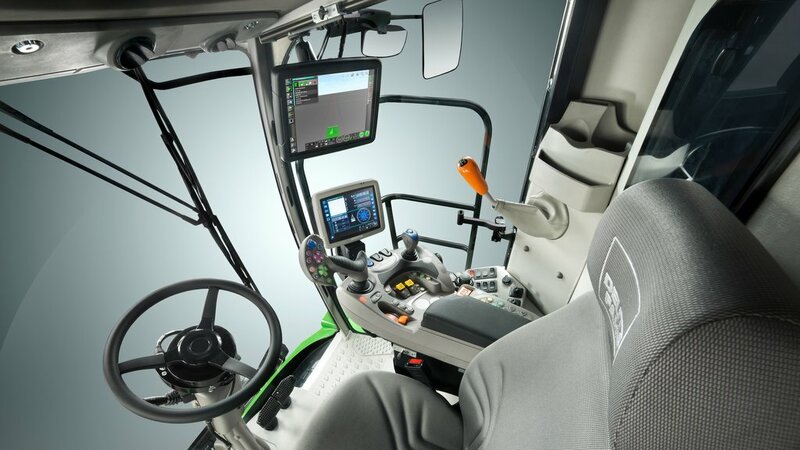 The most obvious updates can be found in the cab which features an extensive redesign. Straw flow has also been optimised, and grain tank and unloading capacity both receive a boost. Available for the 2018 season, the new models are on sale now. Getting more of a standard Deutz-Fahr feel, the combine’s cab has undergone a fairly hefty redesign. 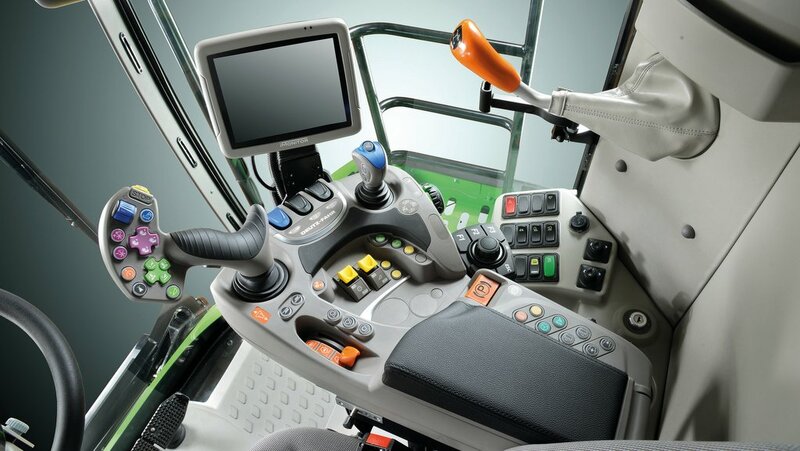 All control elements are now integrated in the armrest of a new extra-large seat and are based on the control concept of the manufacturer’s large tractors. Similar to the TTV tractor controls, a main control lever takes care of all primary combine functions. A new eight inch touch screen terminal, iMonitor, used for machine monitoring, adjustment and set-up. The firm’s Agrosky Precision Farming systems are managed by a second 12 inch iMonitor, which also displays images from up to three cameras. Control of the combine’s four-speed hydrostatic transmission is now all electronic, and more precise via the new control concept compared to its predecessor, says the manufacturer. Top speed is 25kph. In-cab noise levels have also been reduced and a mobile cool box is standard equipment. For its two self-levelling TSB models, the system is now operated via a joystick, which the firm says makes it easier and quicker to do. 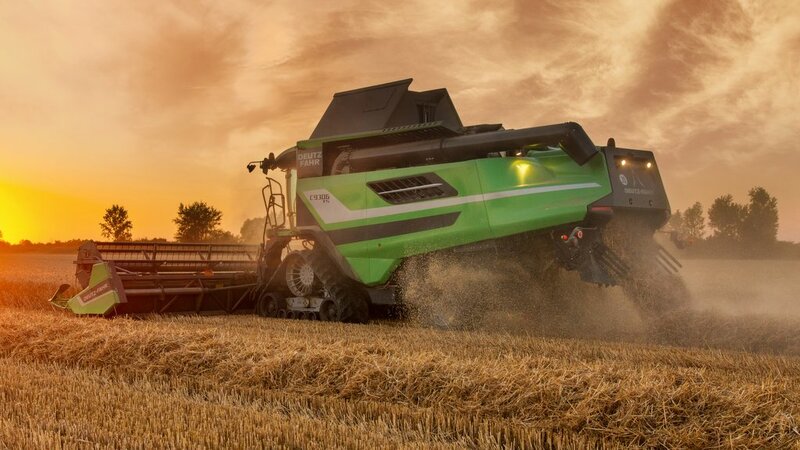 Up to 20 per cent lateral and 6 per cent longitudinal movement can be achieved, reducing losses and improving combine performance, says Deutz-Fahr. Improving residue management, a new straw-hood design has been introduced to allow a smoother flow of straw, including chopped straw. In addition, a new spreader allows the operator to adjust material flow according to the working conditions. For windrowing, the spreader can also be used as a chute to channel the straw into swaths. The new straw hood is also said to increase the separation area as the straw walkers have been extended. Separation surface is 7.46sq.m for the five straw-walker models and 8.90sq.m for the six straw-walker models. Grain tank capacity has also been given a boost, now up to 10,500 litres from 9,500 litres. Likewise, thanks to a new two-feed system, the discharge speed through the new unloading auger has been increased, now 120 litres/second. To prevent spillage, the unloading auger’s auger is reversed momentarily when it is shut off.